Oh my goodness! This was such a sweet and fun lesson! I want to extend it some more by teaching my children about Russia and a little bit about the Russian culture. 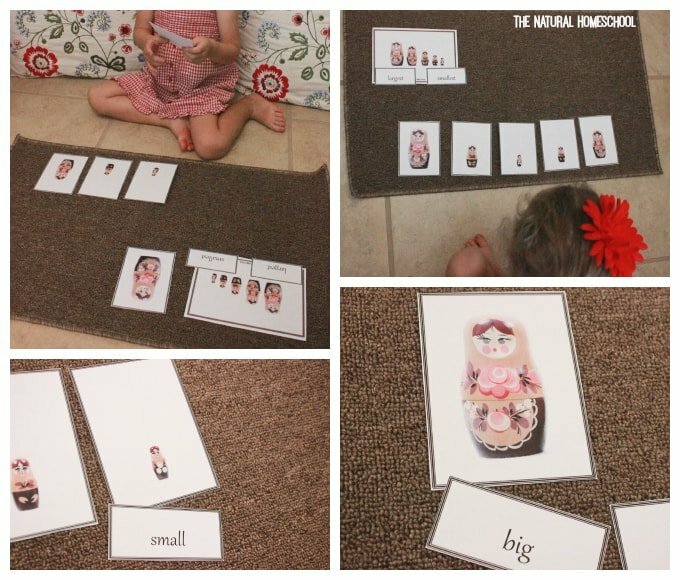 In this lesson, we learned how to sort by size using Matryoshkas. Some people know they better as Russian Nesting Dolls. 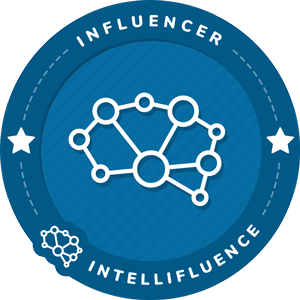 Take a look at what we learned and don’t forget to grab your very own free printables. 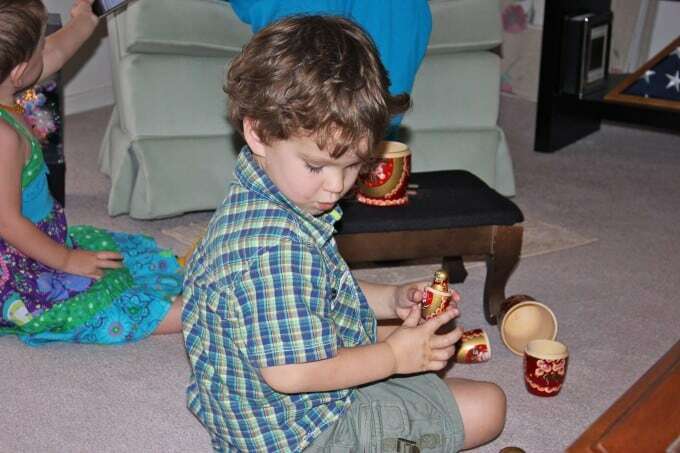 There are many, many different kinds of Russian Nesting Dolls aka Matryoshkas. There are huge ones and tiny ones, owl ones, Russian Presidents ones and even Santa Claus ones. The one thing that they all have in common is that they all have at least 5 nesting dolls in the set. They go from biggest to smallest and they all fit perfectly inside each other. Here are some of the more traditional Matryoshkas (Russian Nesting Dolls). Click on the images to find out more about them and to purchase a set if you’d like. And you can even have fun and create your own (click on the images for more information)! 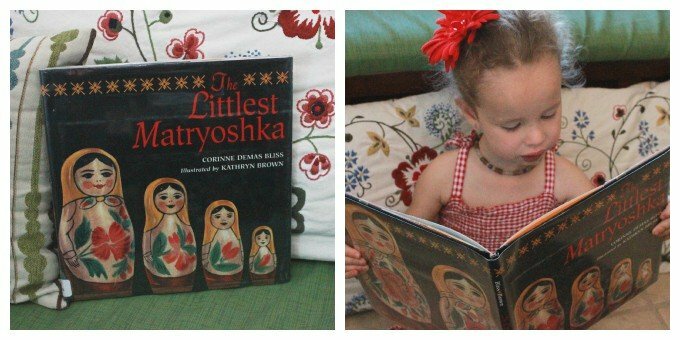 We read the wonderful book The Littlest Matryoshka. It is such a sweet and sentimental story. I highly recommend it. It went perfectly with our lesson. Sister loved the pictures and how the littlest Matryoshka was the main character. I live this lesson because we get to use my two sets of precious Matryoshkas. The blue one was given to me by a very special friend who went to Kyrgyzstan and the pink one was given to me by my mom, who visited Russia many years ago. 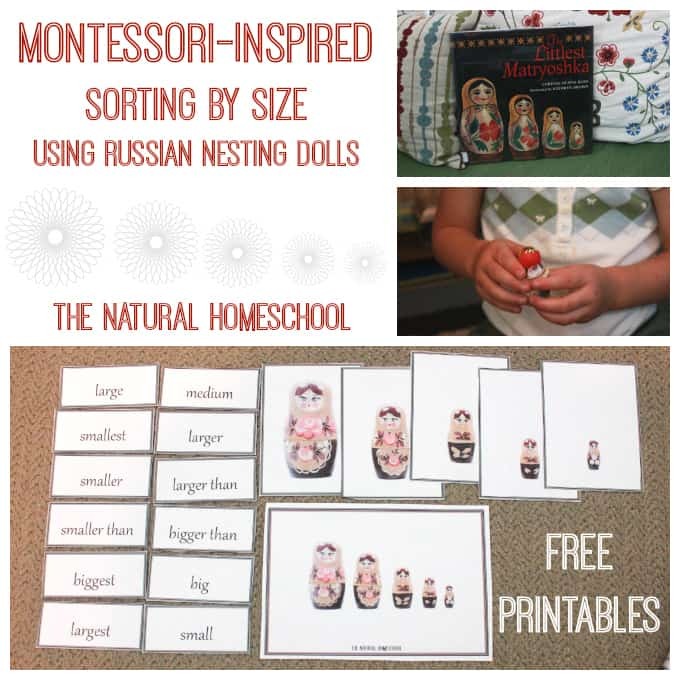 Child unrolls a mat on the floor and a matryoshka is placed in front of each child. 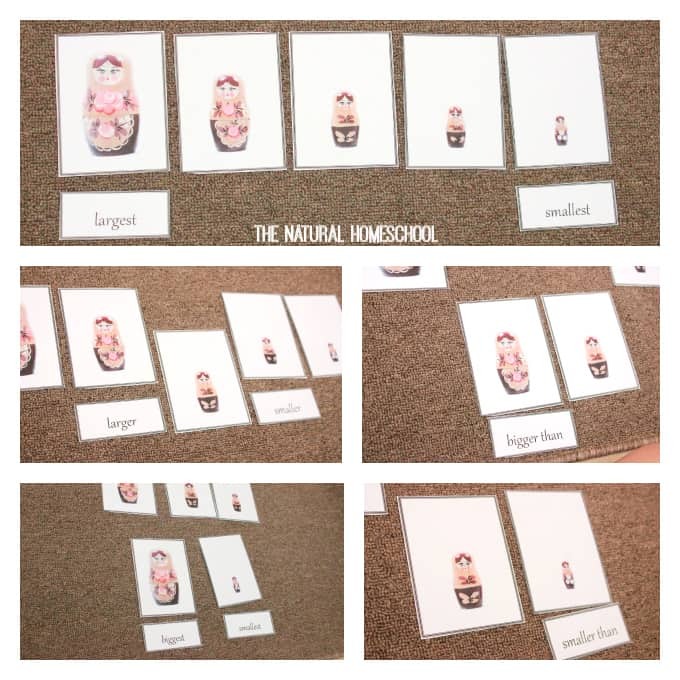 Show child(ren) how the Matryoshka are all different in size and how they all fit with their half and inside each other perfectly. There are different ways to discriminate the Matryoshka and the halves that go together. They can discriminate by color, by size, by shape (top half and bottom half). 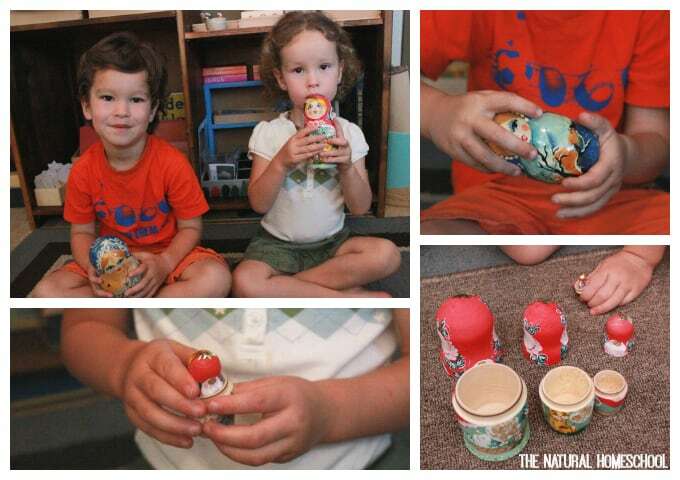 My children enjoyed opening each Matryoshka and setting the halves on the mat in an orderly fashion. Then they were focused on putting them together and nesting them again. 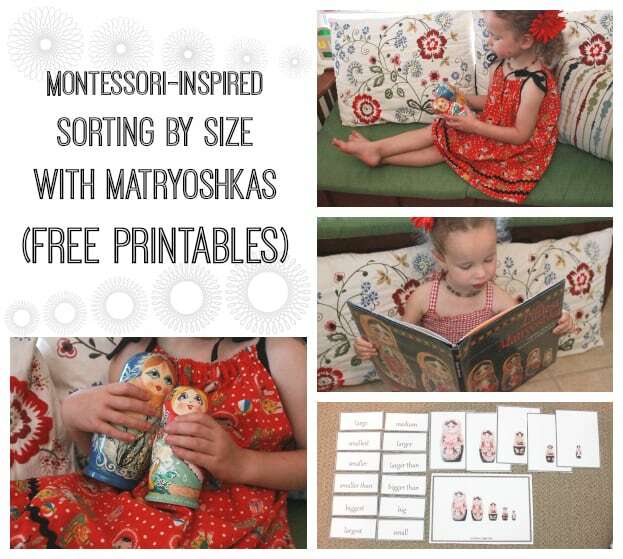 Matryoshkas are great for learning size discrimination, but they are also great to teach visual discrimination and matching. As you look at the beautiful details painted on the Matryoshkas, you can see how the top half and the bottom half come together to create a unique, beautiful, handprinted image. In the first lesson (above), my children were focusing on finding the halves that went on top and the halves that went on the bottom, as well as figuring out which half matched the bottom by size. This time, I pointed out to them that all Matryoshkas have beautiful paintings on them and that they need to be aligned perfectly in order for the image to be complete and be appreciated like it was meant to. 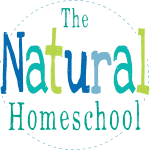 These are your free printables! Take a look at how we used them, but there are many options that I included so you can pick and choose what you want to focus on. As you can see, we started out using the Control of Error image to show what the right order by size should be. 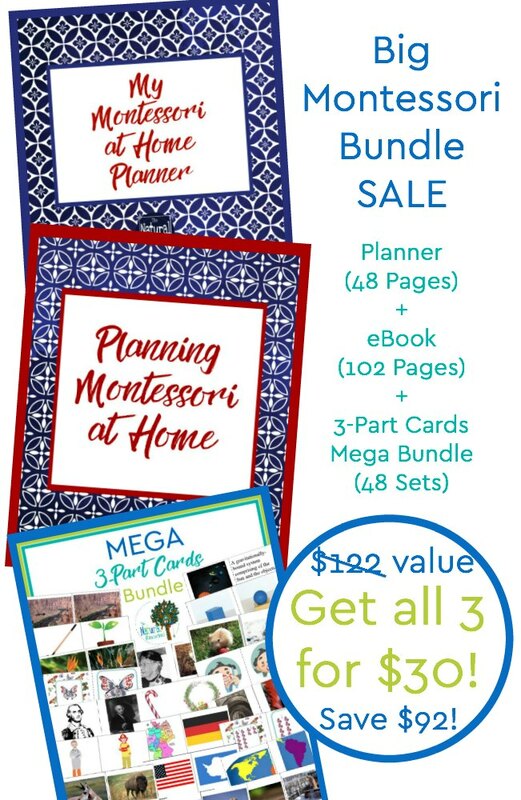 You can take a look at what is in the printables to see what you would like to use. We used both “big” and “large” for size. It is good for expanding vocabulary and to learn synonyms. 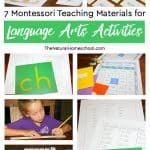 I hope you enjoyed this lesson and that you and your little ones will enjoy using the free printables. Which one did you like the most? 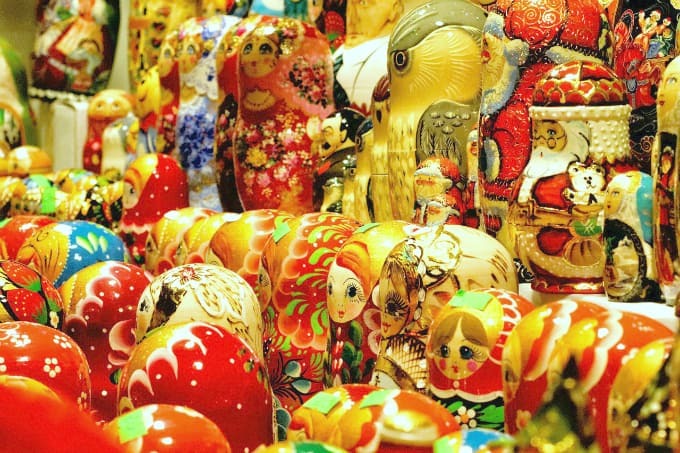 Do you own Matryoshkas already? 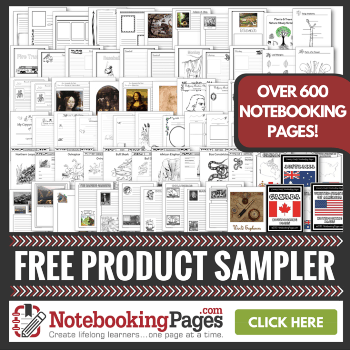 Did you ever think of using them as teaching tools? This is wonderful! I’m planning getting the Russian dolls for our study of Russia this year. Pinning! Just love this. We have had these dolls in my family for as long as I can remember. My children love to work with them while we visit my grandparents. Thank you for the printables too! Hire foo you space out these lessons? All on one day? One per day? One per week? Thanks!